Conclusion: Highly recommended unique street theatre experience! I am such a huge fan of Battalia Royale. I have seen this back in March 2012, I just watched it again today on September 13 for their tech run. Thanks for our friends from Sipat Lawin Ensemble, Pepe and the Polygons and WhenInManila I got to see this again! It’s generally the same, but what changes is the venue. I believe some of the characters also changed but most of the main characters remain like my favorite Cacai, Sebastian and Jessie. This time, I think their fighting choreography improved more, and the â€œbloodâ€ substance that they use is thicker! It falls under underground street theater with different groups collaborating to make it happen. 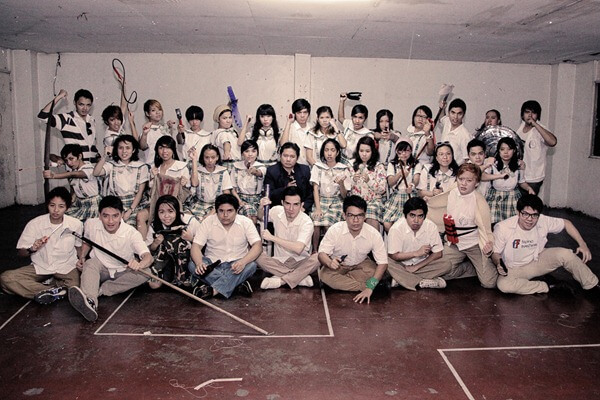 The surprise summer hit of 2012 plays out again, as edge theater group Sipat Lawin Ensemble restages the live-action game performance, Battalia Royale in September 2012 as a part of their Season Apocalypse 2012. Furthering Sipat Lawin Ensemble’s philosophy of theater beyond the fourth wall, Battalia Royale is the biggest edge, or collaborative performance in the country. A close to a hundred member cast and crew includes graduates from theater groups Mapua Tekno Teatro of Mapua Institute of Technology and Dulaang Perpetual of University of Perpetual Help Delta, as well as three writers from Australia, in addition to company members of Sipat Lawin Ensemble. The performance serves an experiment in alternative theater space, as well as training ground for budding theatrical talent. The story follows a batch of high school students from the fictional Our Lady of Guadalupe High School Manila, who embark on a class trip only to be hijacked and forced in a kill-or-be-killed game. Only one survives the game, and each night presents a different winner of the game. An ongoing prequel can also be followed at Our Lady of Guadalupe High School’s facebook page http://www.facebook.com/OLGHSManila, and wordpress, http://battaliaroyale.wordpress.com. For this staging of Battalia Royale, dubbed version 3.0, director JK Anicoche envisions it to have a more dangerous feel for players and audience alike. No cellphones or cameras allowed this time around, to give it a more underground feel. Leave all comfort at the gate, as this is one performance that you will have to run, walk, maybe even battle to see. Battalia Royale is Battalia Royale is based on the Koushun Takami novel, Battle Royale, and the movie of the same name. 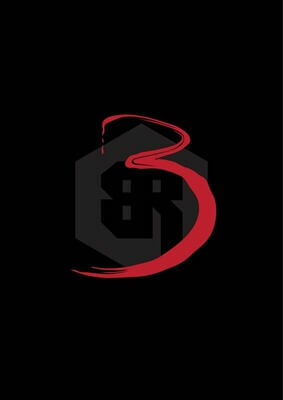 Battalia Royale has not been granted an official license by either the author (Koushun Takami) or the film company (Toei Company, LTD). For more information on the show and company, visit Sipat Lawin Ensemble’s facebook page at http://facebook.com/sipatlawinensemble and the Battalia Royale wordpress at http://battaliaroyale.wordpress.com. 1. Follow the rules carefully. 2. Wear comfortable shoes. You will be running around to fight for a good view. 3. Bring flashlight, to better see your way or some of the scenes. You can also buy the Battalia Royale survival kit on the venue. It includes flashlight and other essentials. 4. Don’t bother with your cameras. It’s not allowed, just enjoy the show. 5. It’s going to be hot, but wear jeans or jeggings / leggings. There are times when you need to sit down the floor. Wearing shorts would get your skin dirty. 6. Wear comfortable clothes. It is going to be hot. 7. Shower. You are going to be around a huge crowd. Be considerate with your odor. Shower. 8. Eat before the show. You need the energy to run and scream. September 14, 15, 16, 21, 22, and 23, 2012.